Contributing dwellings on St. Louis Avenue in the district. Photograph by Michaela Burwell-Taylor. The St. Louis Place Historic District is a largely residential urban historic district of moderate to high density located just northwest of downtown St. Louis, Missouri. The major landscape feature of the linear St. Louis Place Park, created in the original plat of 1850, and the cohesive architectural character of wide St. Louis Avenue provide strong visual anchors to the historic character of the district, and provide a T-shaped center to the boundary. Former Alderwoman April Ford-Griffin (D-5th) initiated the nomination process, which was overseen by Community Renewal Development (with Executive Director Sal Martinez at the helm). PRO undertook the work with input from community stakeholders and property owners; a particularly memorable public meeting took place on what may have been the iciest night of winter 2011. The project created a guide for preservation planning in a neighborhood that has lost over 60% of the buildings that stood there in 1950. Residents and property owners sought guidance after years of demolition and uncertainty of what would qualify for the National Register of Historic Places and historic tax credits. The St. Louis Place Historic District consists of the area around St. Louis Place Park and St. Louis Avenue in the center of the St. Louis Place neighborhood on the near north side of St. Louis. St. Louis Place is framed by the Old North St. Louis neighborhood on the east, Carr Square and De-Soto Carr on the south, JeffVanderLou on the west and Fairground and Hyde Park on the north. Little of its character remains in St. Louis Place, however, due to late 20th century decline and clearance. The district is a key part of the city’s Union Addition of 1850, the only subdivision in the city to employ a linear “pleasure ground” park as a central feature of its street grid and only the third in the city to include a public park at all. Unlike other parks, St. Louis Place Park was an integral part of the physical design for the neighborhood, which developed in the 19th and early 20th centuries as a dense mostly residential neighborhood with churches, institutions, stores and factories located throughout. Altogether, St. Louis Place was the largest cohesively developed subdivision in north St. Louis dedicated during the 19th century. One advantage the Union Addition was that it was located far enough outside of the densely developed central city to anticipate long-term growth. Expectations tended towards investment rather than development, forecasting rising property values and encouraging speculators to buy early. By the time residential development began in earnest thirty years later, many swaths of empty lots were held by speculators outside of the neighborhood. 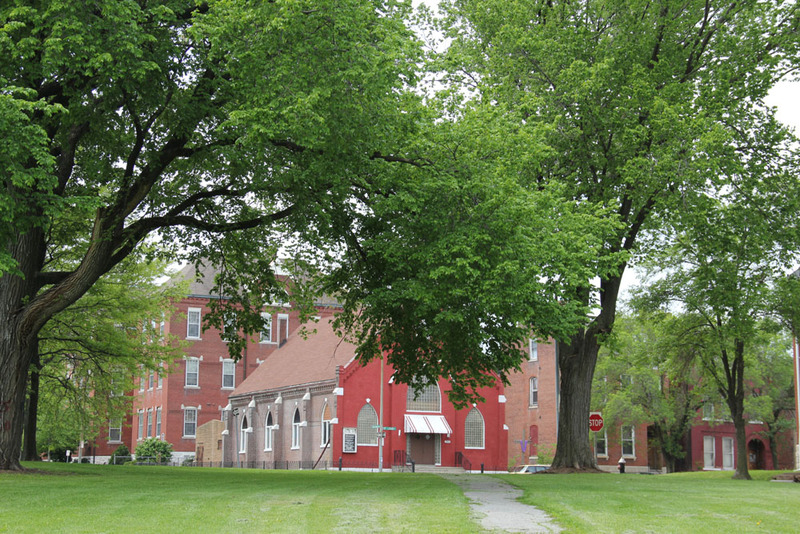 A view of the former Second Church of the New Jerusalem (1883) through St. Louis Place Park. Photograph by Michaela Burwell-Taylor. The city began improving St. Louis Place in 1865 in a manner in keeping with mid-nineteenth century conceptions of the urban park as a pleasure ground. Carefully crafted, seemingly “natural” landscapes became the ideal; indigenous trees and sloping fields were preferred to formal gardens, and curving pathways encouraged strolling spectators to leisurely absorb their surroundings. Refined enjoyment rather than active sport were considered fitting activities to restore peace and “psychic wholeness” to the harried urban mind, and less strenuous enjoyments such as musical concerts were encouraged. St. Louis Place Park would receive its final major improvements in the 1890s. In 1896, the city drained the lake in this block and regraded the area. The paths were extended and a new, elaborate fountain built in its place by 1898. This fountain was removed in the 1970s and replaced by the current water structure. The development of improvements in St. Louis Place Park attracted more residents, but the biggest factor probably was the expansion of mass transit lines through the area in the last part of the 19th century. These lines opened the Union Addition to easy access to downtown and industrial and service employment throughout the city. Conversely, the streetcar lines allowed skilled workers from all over the city to work in the factories, foundries, wagon shops and other industrial concerns of the Union Addition, which enjoyed growth in the early 20th century. Irish immigrant and former steamboat captain John Loler built this double dwelling at 2137 St. Louis Avenue c. 1870. During this time, John Costello completed a number of works still standing within the district, mostly for Irish clients. Costello, an Irishman, stands out among the group of almost exclusively German-born or first-generation German contractors and architects who were building in the district at this time. Costello was the second most prolific builder in St. Louis Place. St. Louis Place stood directly in the path of Irish and German out-migration from districts immediately north of downtown, and attracted the near north side’s upper-middle class and wealthy Germans as well as working-and middle class families during the last decades of the nineteenth century. The neighborhood became fashionable for those self-made German businessmen, industrialists, and professionals who had risen to greater wealth and success than most of their countrymen. Germans did not form exclusive ethnic enclaves and lived side-by-side with other ethnic groups throughout the city. Devoid of the kinds of deed restrictions which characterized true “private places” elsewhere in the city, St. Louis Place attracted more modest residents as well as commercial and industrial interests in a manner typical of north-side neighborhoods where strict “occupational clustering” was uncommon. Dwellings along Rauschenbach Avenue. Photograph by Michaela Burwell-Taylor. 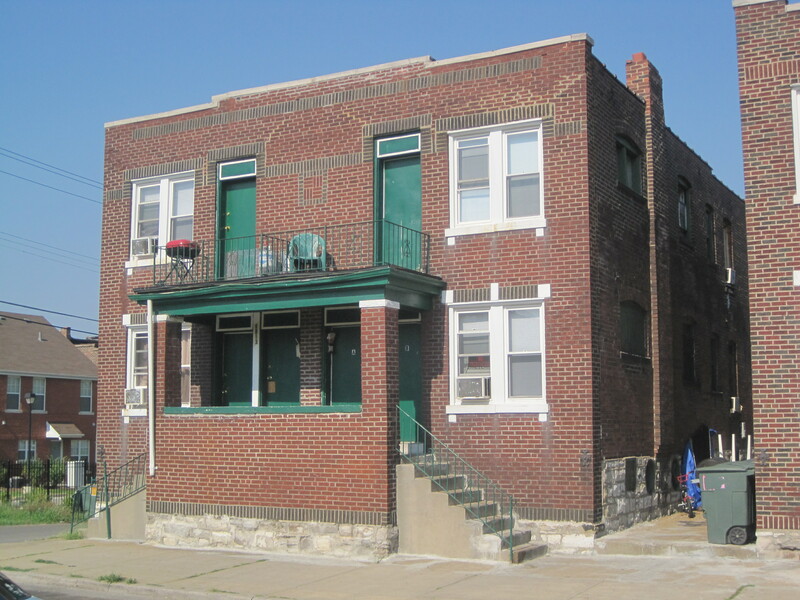 Many residents along St. Louis and Rauchenbach avenues were leading members of North St. Louis’ business and professional communities, self-made German businessmen, industrialists, and professionals who built homes comparable in cost and style to those in more exclusive districts in South St. Louis and the West End. 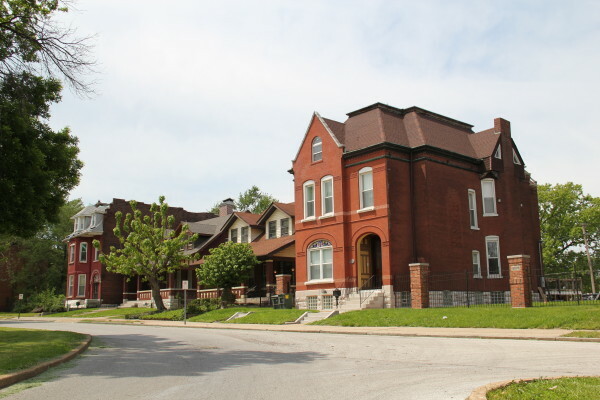 Middle-class German families occupied flats and smaller single-family homes sometimes intermingled with larger homes, particularly at the southern end of the park and western end of St. Louis Avenue. Working class homes existed amidst factories on the periphery. The vast majority of German residents called upon German builders and architects for their buildings. Architect Charles F. May, AIA, resided within the District himself and is responsible for executing the largest number of extant designs in St. Louis Place. Almost always designed for German clients and universally constructed by German contractors and craftsmen, May’s work in St. Louis Place was designed within a milieu of German cultural expectations and building practices. It exemplifies the German impact upon the District’s physical landscape. One of the district’s most prominent German-American institutions was the Freie Gemeind von Nord St. Louis, or the Freethinkers Society. The vacant Freie Gemeinde building (1869-1883) was included in the district, but suffered a collapse after listing. However it still stands. Since the end of the 1950’s, the city fabric within the Union Addition has suffered great loss of physical fabric. The selective clearance of the St. Louis Place neighborhood left many blocks more unstable than ever, and vacancy and deterioration increased after 1974. Developer McCormack Baron devised a more sensitive redevelopment program in the 1980s. 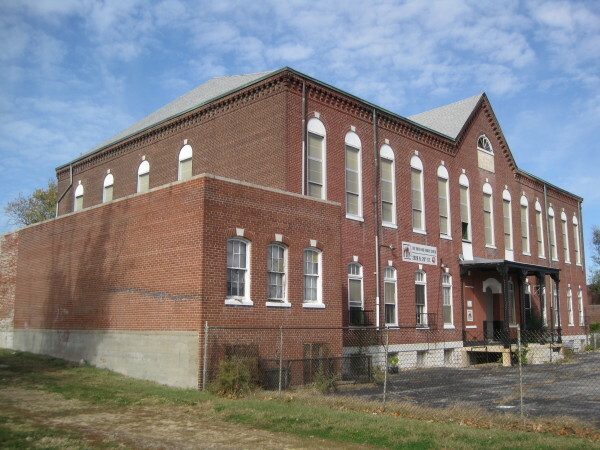 In 1982, the company purchased Frank P. Blair School, commissioned a National Register of Historic Places nomination and completed rehabilitation of the buildings. 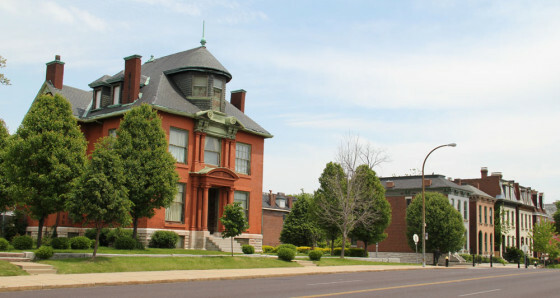 The Community Development Administration funded an architectural survey of the Union Addition in 1983, and a National Register of Historic Places historic district nomination for an area of the St. Louis Place neighborhood. 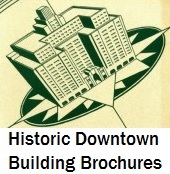 Listed in 1984, the historic district was expanded in 1986 to boundaries that adjoin the current district on the east. A 1985 architectural survey by Landmarks Association of St. Louis indicated that the architectural character and development history was consistent with the area of the neighborhood west of St. Louis Place Park and though the larger boundary was more desirable, the Community Development Administration did not pursue any nomination of that area. Subsequently, more physical fabric has been lost and other large-scale redevelopment plans have been proposed. One of the district’s later multiple dwellings, at 1813-15 Rauschenbach Avenue (1929). Despite the loss of nearly 29% of its building stock, the St. Louis Place Historic District survives as one of the strongest remaining areas that conveys the pre-urban renewal historic character of the St. Louis Place neighborhood. St. Louis Place is included in the boundaries of the current mixed-use redevelopment project approved between the city of St. Louis and a private company, Northside Regeneration LLC. 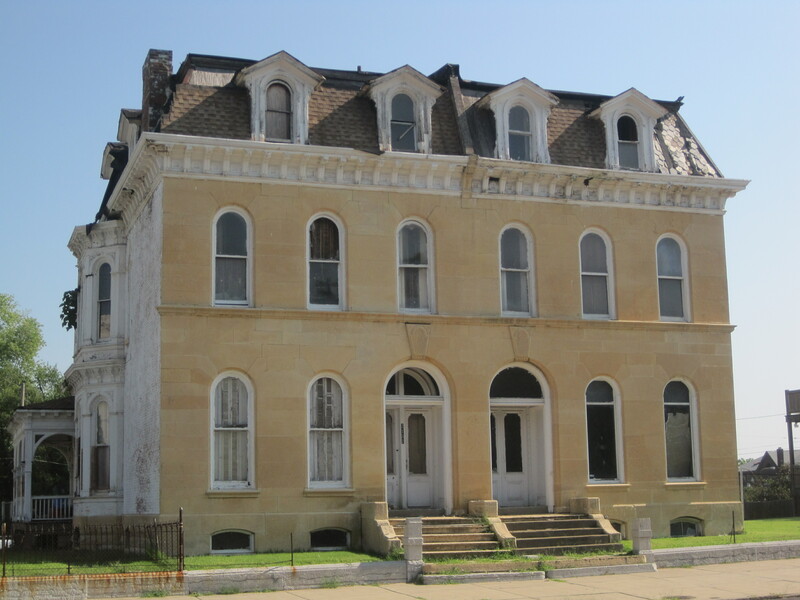 The redevelopment agreement, although lacking detail, calls for retaining the remaining historic building stock of St. Louis Place and endorses the creation of a National Register of Historic Places historic district similar to this one.